You all are cordially invited to participate in the annual event called “RSUNIVAL” #3 held on Wednesday 3rd April 2019 at in front of Building 7, Rangsit University. In order to harmoniously combine the Thai traditional Songkran festival and Easter’s festival together, it comes with the theme of “It’s all about the eggs”. 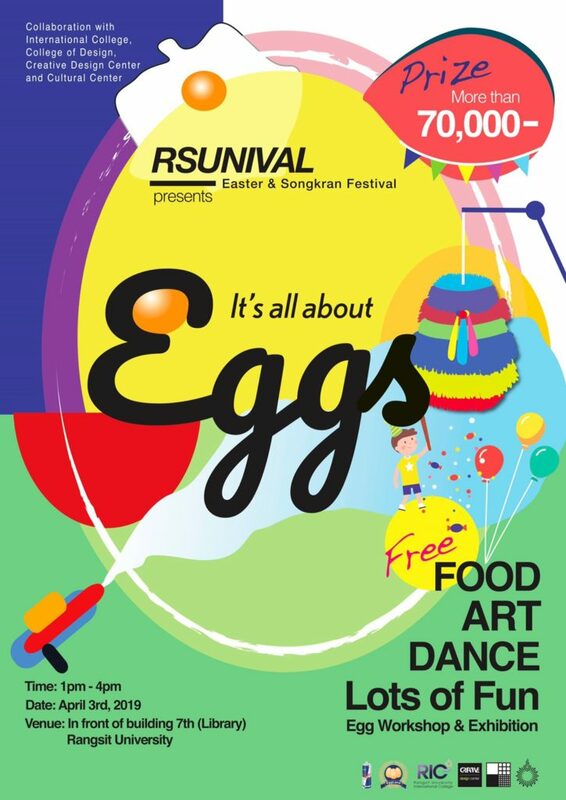 In this event, there will be many interesting activities such as Eggs Workshop booths, International Performances, and etc. Thus, let’s make this event joyful by our hands.